Summary. 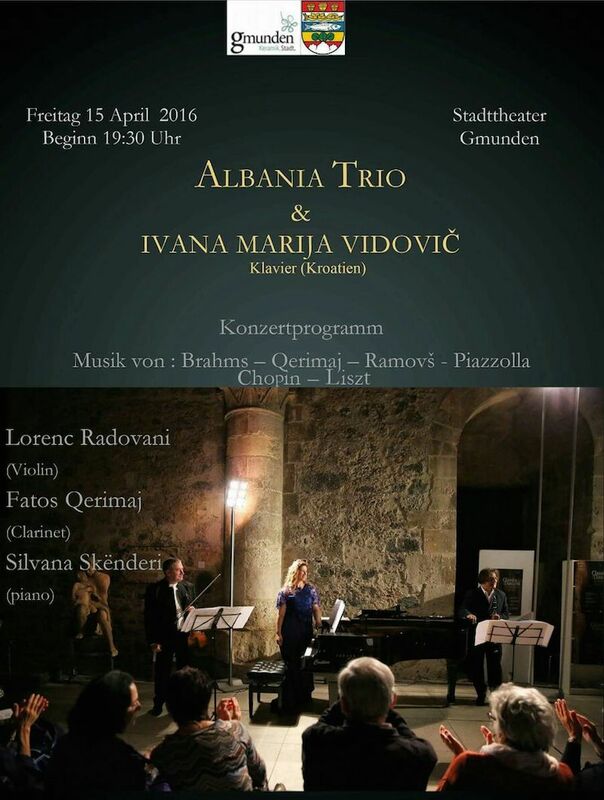 Ivana Marija Vidović, distinguished Croatian pianist and poet, will be performing in April 2016 with an Albanian Trio and with Krešimir Marmilić on the tour including Austria and Slovenia. 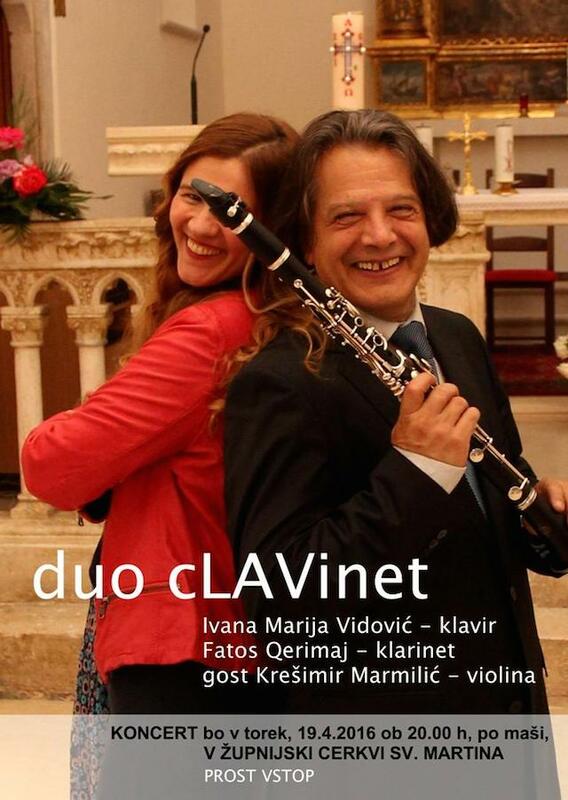 This tour is a result of and continuation of fruitful music collaboration between Croatia and Albania, established during the past years by Ivana Marija Vidović, founder and director of the prestigious Epidaurus Festival in the Cavtat near the city of Dubrovnik. 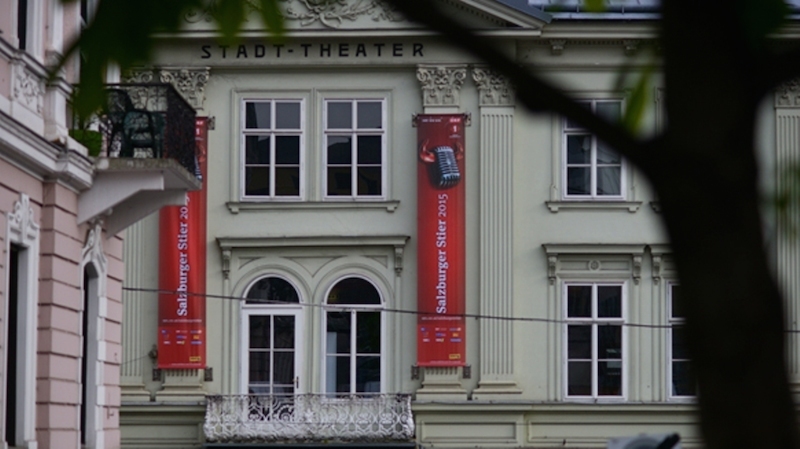 The concert in Gmunden, Austria, takes place in the City Theatre on 15th April 2016, then in Kazinska festivalska dvorana (SNG, Slovensko Narodno Gledališče) in Maribor, Slovenia, on 17th April, while in Bled it will be held on 19th April in the Church of St. Martin. ... Two different cultures that intertwined the musical thoughts, rhythm, work, diversity, friendship, togetherness... 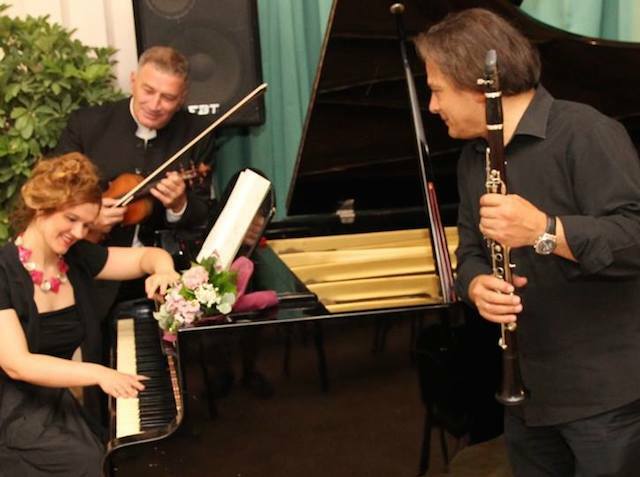 The sea that connects and separates, that educates and brings great wealth continuously - This will be a joyous evening in which two Croatian artists: pianist & poet Ivana Marija Vidović and violinist Krešimir Marmilić in the company of the Albanian clarinettist Fatos Qerimaj will present themselves to the Austrian audience for the first time. with Lorenc Radovani and Fatos Qerimaj in 2015 in Cavtat. 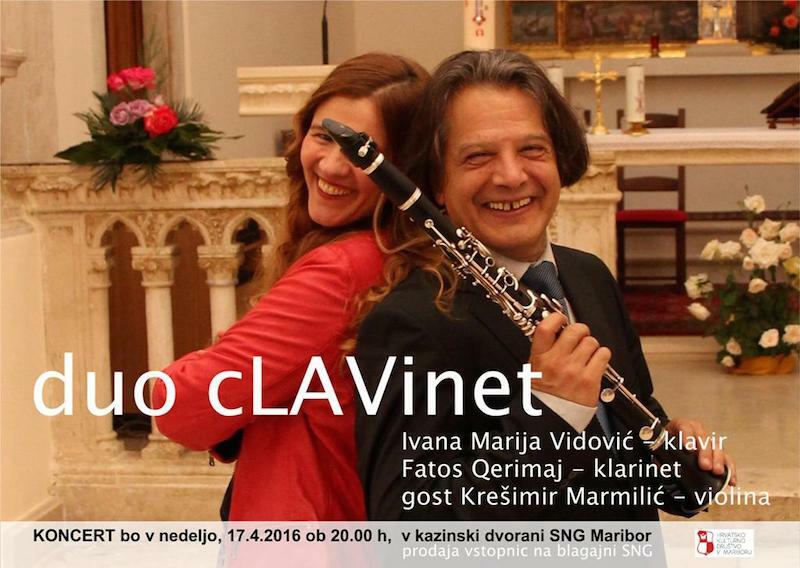 Announcement of the concert in Bled, Slovenia.